There is a common assumption that the Bible is "full" of errors and contradictions, and that its often-unusual people and events render it useless for today. These ideas are fueled by the teachings of scholarly critics, who seem to delight in raising questions about the Bible's truthfulness and integrity. But the critics of the Bible are wrong, according to Dr. R.C. 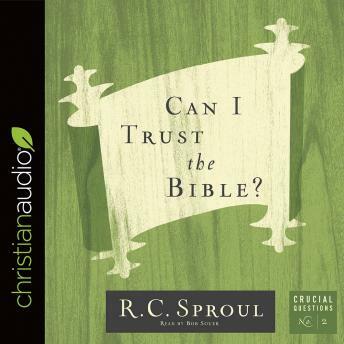 Sproul in this Crucial Questionsbooklet. In fact, he says, there are many solid reasons to trust the Bible. With Jesus, with the apostles and prophets, and with men of God throughout church history, Dr. Sproul affirms a high view of Scripture—that it is inspired of God and therefore inerrant and infallible.